No art exists in a vacuum; neither does Stretch. That’s why this interview is focused on reaching out to other dance and art collectives with a focus on community, education, and acceptance. We interviewed Niko Palacios, the Program Development point person for the Level Ground Festival. Level Ground is becoming a national innovator in film festival programming, art curation, and dialogue. 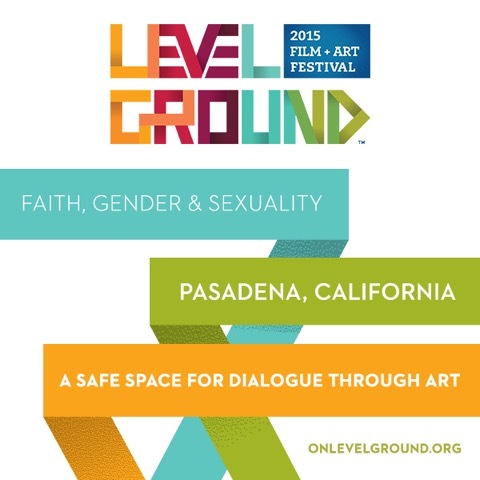 Level Ground uses art to create safe space for dialogue about faith, gender, and sexuality in the hopes of cultivating a better way of speaking across differences and disagreements. What drew you to Level Ground? When did you first start working with the project? Level Ground comes out of an experience with other friends at Fuller Seminary. It was the first LGBT group at an evangelical institution that wasn’t about challenging the platform or having an agenda, but was focused on building empathy. 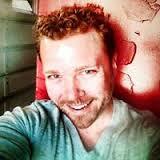 We were surprised at the traction we found in the first few years. The original founders decided to bring it to a more international audience, and during the second year, decided to bring me on. I really believe in the methodology of Level Ground, because I myself have found myself caught between two worlds: the gay and Christian community. Everyone who participates in it has a lot at stake, and is so courageous, but it leads to lots of conversation. Level Ground does start the conversation in a lot of ways—it’s a very multimedia group. Can you talk a little bit about why it’s so important to have a diverse approach to this conversation? We do believe that people are more likely to experience art with someone they don’t know, or who they perceive to have different values. It’s easier to see for a moment in someone else’s life journey, to build empathy, and expose stories and narratives in a far-reaching method. What do you hope to see in the future with Level Ground? We’ve done a great job historically at widening discussion and perception around gender and sexuality. We’ve exposed unheard narratives and stories around the country—we had 6-7 different festivals in our first year alone curating art and fostering artists in the community. I’m constantly surprised at what I’ve learned along the way. These stories provide rich nuance and context, and prove there’s more than the face you see on TV. Looking forward, we hope to go wide, to really broaden our scope of topic matter by using great tools and effective dialogue. Racial inequality, interfaith matters, and so much more. In the past, we’ve been really focused on sexuality, but now I think we can explore how it intertwines with other political conversations. I’m just so grateful to the participants, the sponsors, and contributors, who put their art, themselves, and their reputations on the line to deconstruct the narrow ways of being seen in the world. I just really want to say thank you to the artists, and I look forward to hearing more stories. Level Ground’s Festival is going on this weekend in Pasadena. Find out more here, or click this link to attend!